Dennis Hopper, one of Hollywood's last great cult figures, is mostly known for his depiction of social outcasts in films such as Apocalypse Now and as the director of classic films like Easy Rider. In addition, Hopper has also made a name for himself as an artist and photographer. His photographic chronicle of America in the Sixties, a decade marked by awakening and rebellion, has by now become legendary. 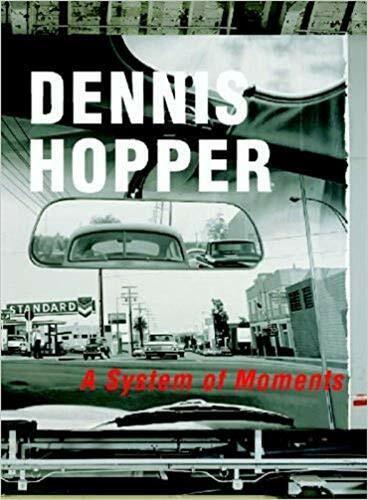 A System of Moments, a kaleidoscopic documentation of painting, photography, film and life, is the first comprehensive publication that takes into account the diverse activities of Dennis Hopper's career of almost 50 years. For the first time, recent photographic works that emerged after a long creative break in the Nineties are also presented: large-format, mainly abstract pictures featuring urbane motifs, weirdly threatening clippings from graffiti-clad walls or dense textural pictures in rich colours with almost tactile surfaces.